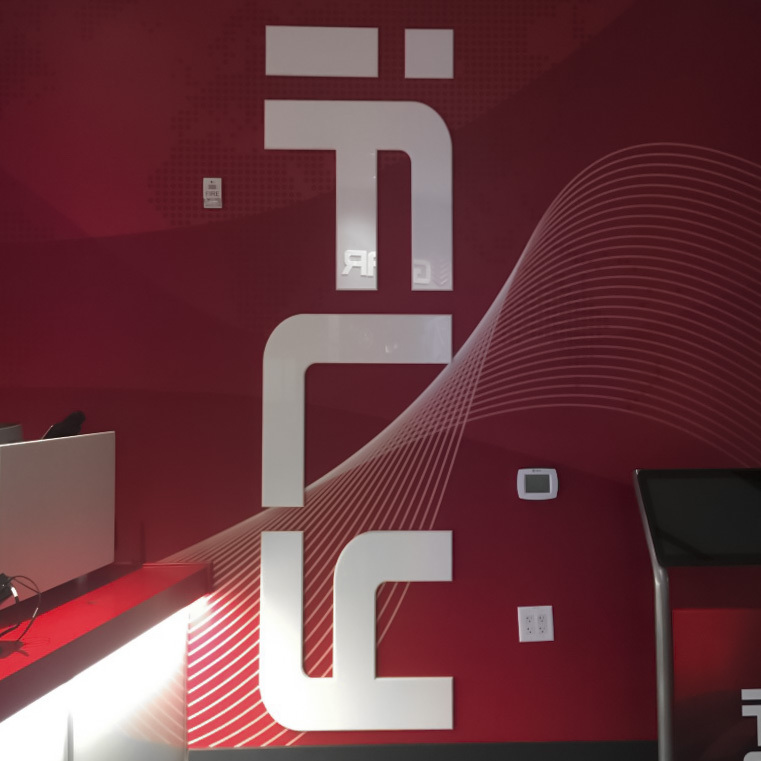 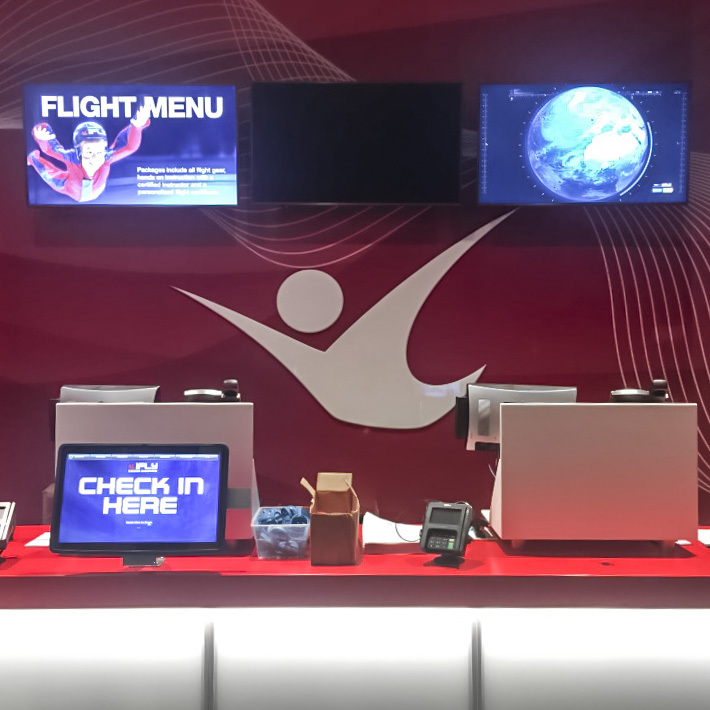 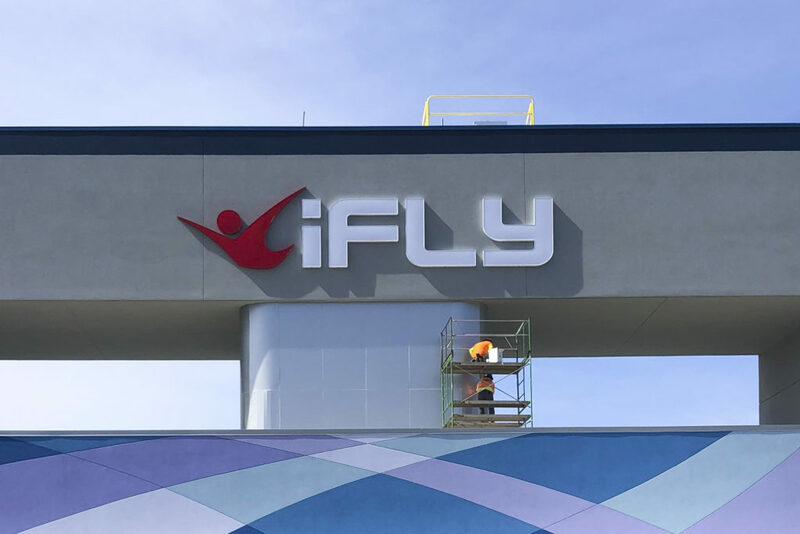 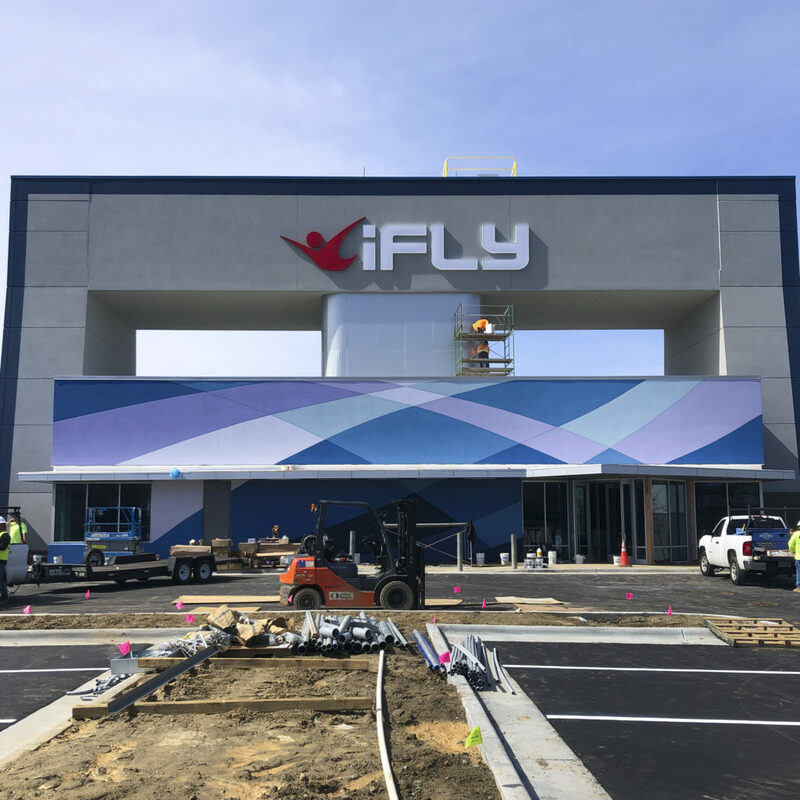 iFly, an indoor wind tunnel experience, has come to Charlotte — ahem… Concord — and here is an inside look at the sub-installation of their interior and exterior signage. 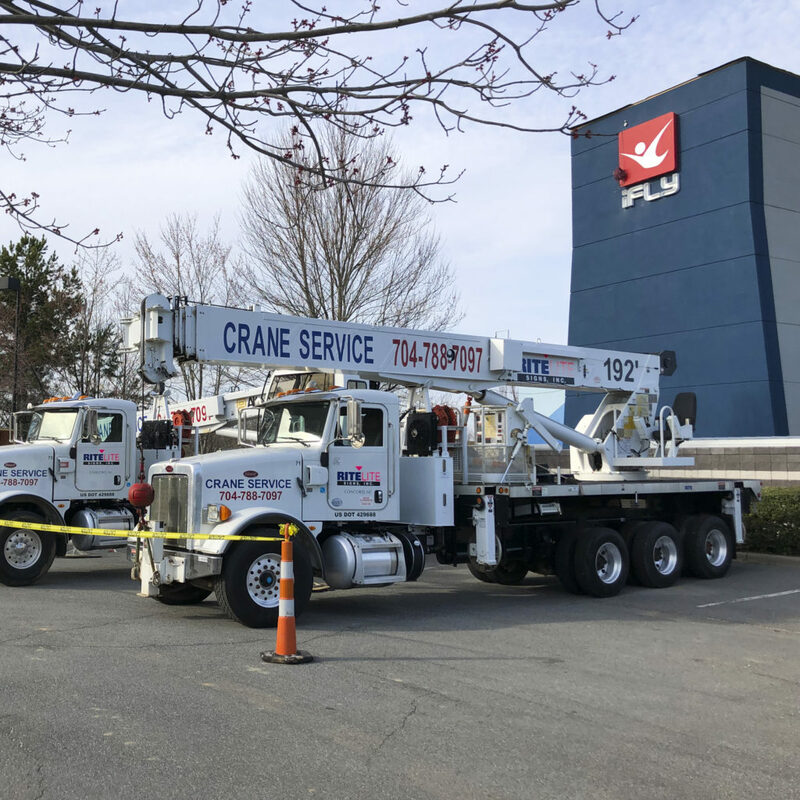 Rite Lite installed a series of external channel letters and cabinet signs around the tall, slender building using their big-boy crane capabilities. 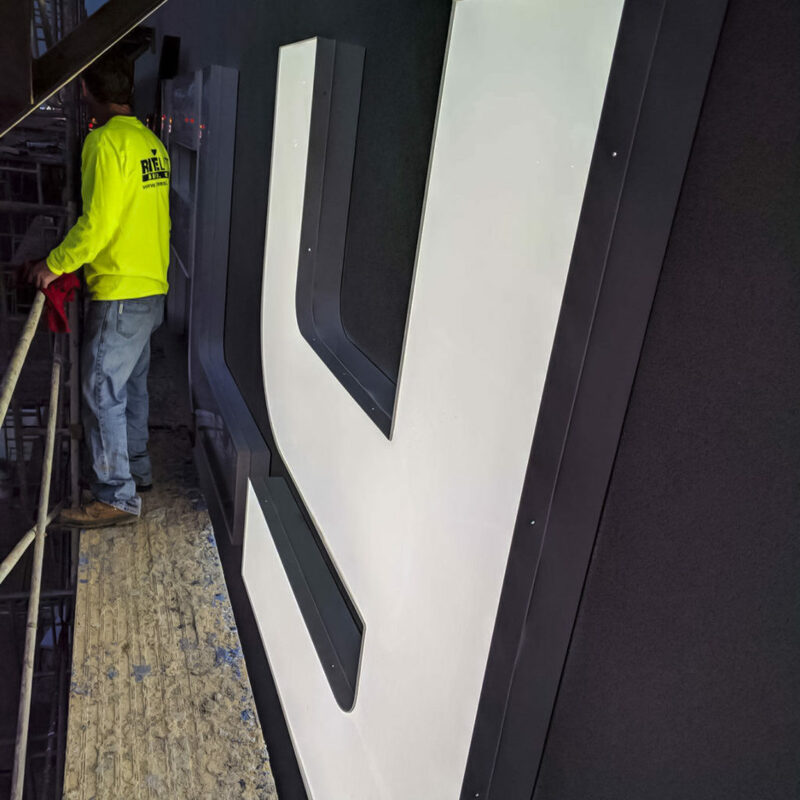 In addition, Rite Lite also installed all the internal acrylic and vinyl signage creating the exciting wind-tunnel experience! 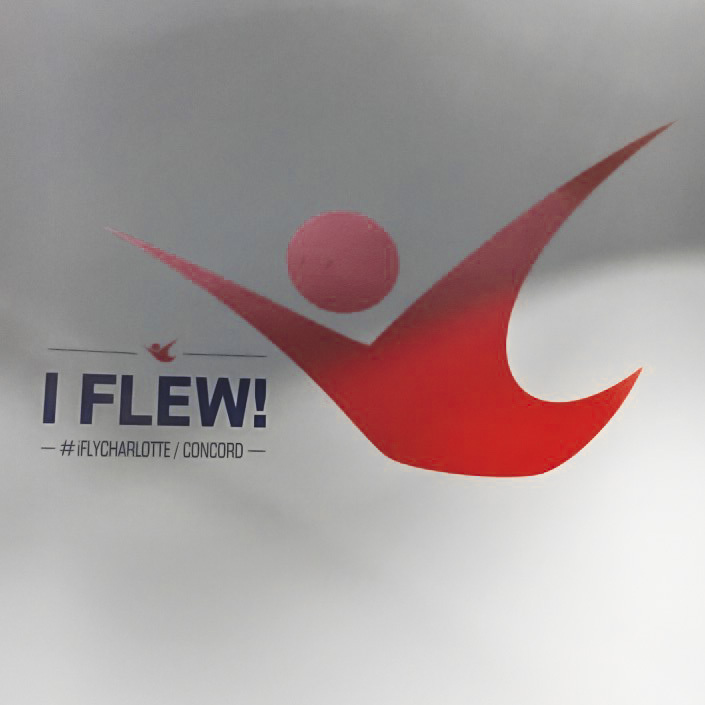 If you love adventure and unique experiences, iFly Charlotte/Concord is the first wind-tunnel in the area and promises a thrill-of-a-lifetime! 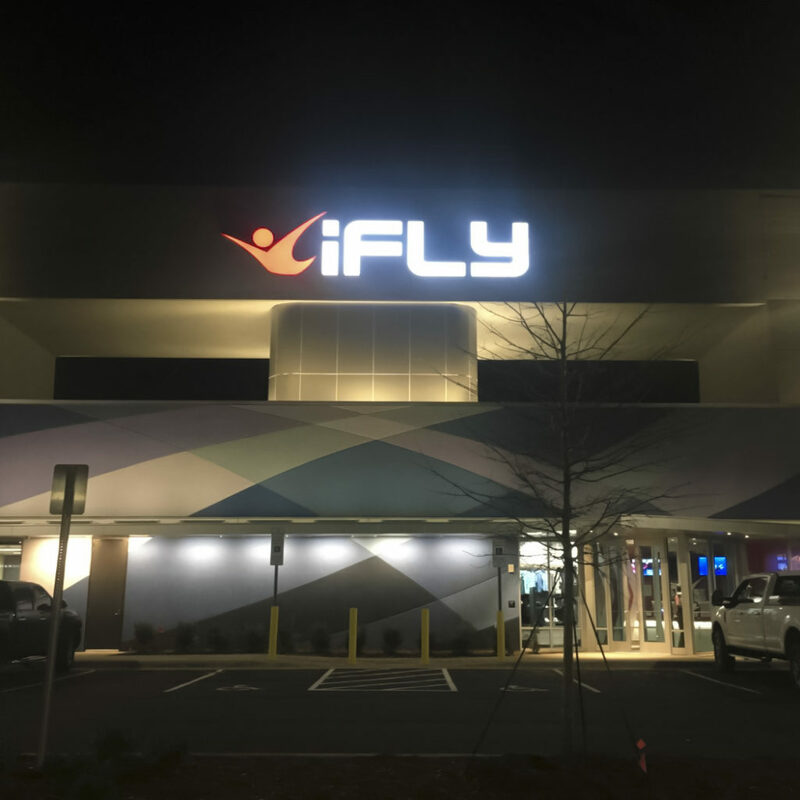 iFly is located just off i85 at exit 49 near Concord Mills Mall in Concord, North Carolina.